Looking to prioritize marriage even after having kids? Read these helpful tips to help you cultivate a healthy marriage. Finding ways to prioritize marriage after having kids is definitely not the easiest thing in the world. It takes hard work and a decision to choose to be intentional. Some days it will be harder than others, but it is worth it. There is not a single perfect way to do marriage. There are no perfect marriages. Yet, there are ways you can cultivate a healthy marriage as you choose to prioritize marriage. 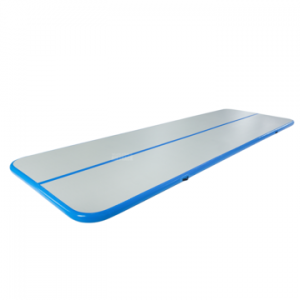 As your life gets busier, the little things can often go overlooked. In the tiredness of everyday life, it can be easier to focus on the negative over the positive. Personally, I know I have fallen prone to this. There were seasons where all I seemed to focus on was the negative, all while I was missing out on the positive! When I continued to nag, it did not help us build a healthy marriage. However, when I started to say thank you for the little and the big things, I started to realize a change in our marriage. Your action step: Say thank you today to your spouse. If he brings out the garbage, say thank you. If he brings in the mail, say thank you. Say thank you and mean it and watch it start to transform your marriage. Spend time together, without the kids. This is vital to a healthy marriage. The key is the time must be without the kids. I often remind moms that one day, our kids are going to grow up and move away. Then it is just you and your husband. Do you want to be strangers then? No, you do not! This season can be so sweet, when you cultivate your marriage along the way. In order to do this, you have to spend time together, without the kids. 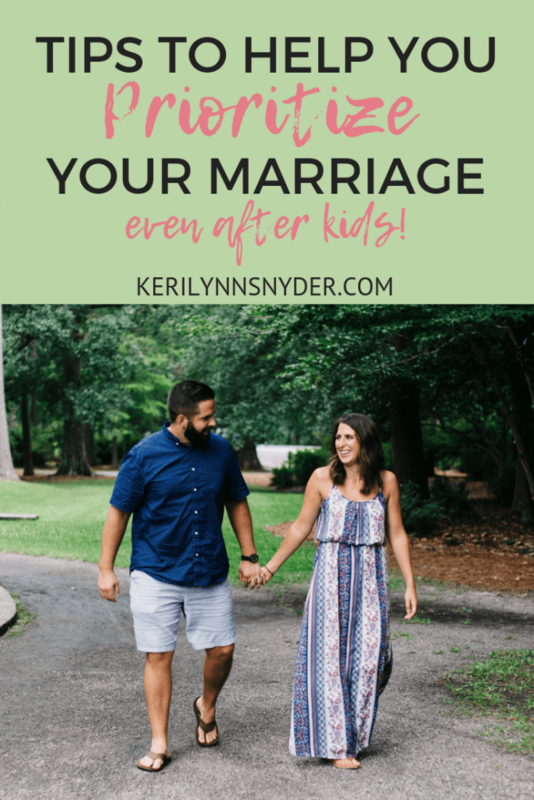 I know it can be hard to leave the kids, especially when they are younger, but this is such a good way to prioritize marriage. 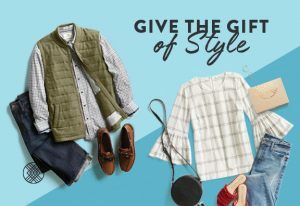 Some seasons your date nights may be at home after the kids are in bed and other date nights may be actually going out on the town. Do what works best for your current season. Your action step: Plan regular date nights with your spouse. I love to surprise my kids by making their favorite foods and just doing all of the things to bring them joy. 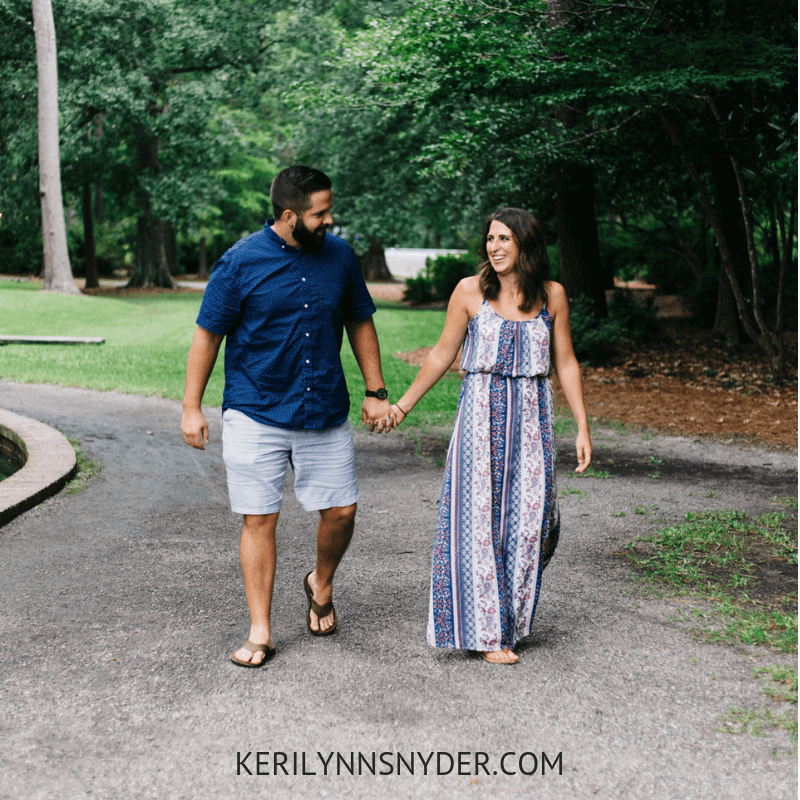 Recently, I was thinking about how before kids that I would do these things for my husband. I would make his favorite meals, leave him a note, send him a text to check on his day. I realized that I needed to get back to doing these things for my husband. Your action step: Do something special just for your husband. Your action step: Make communication a priority in your marriage. Do a daily check in. Talk about your high and low from the day. 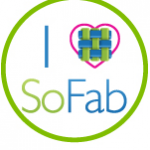 This can be a time where you talk right after work, after dinner, or once the kids are in bed. It is important your kids see you and your husband communicating in a healthy way, so make sure you do communicate in front of the kids as well! See the beauty in the ordinary. Yes, some days are going to be extraordinary. But a lot of days are ordinary. There are bills to be paid, doctor visits, sick kids, soccer practices, helping kids with homework, etc. However, there is incredible beauty in the ordinary if you start to look for it. Your action step: Choose to look for the beauty in the ordinary. Find ways to laugh together even in the ordinary. How can you choose to prioritize marriage today? As you step forward in cultivating your marriage, remember love is a choice. Daily we have to choose to love, even when it is hard, even when you are tired and annoyed. Some seasons are really hard but as we choose to be intentional through these seasons, God will bring about a new season. What are some ways you prioritize marriage today? Another way to prioritize your marriage is by intentionally praying for your marriage. 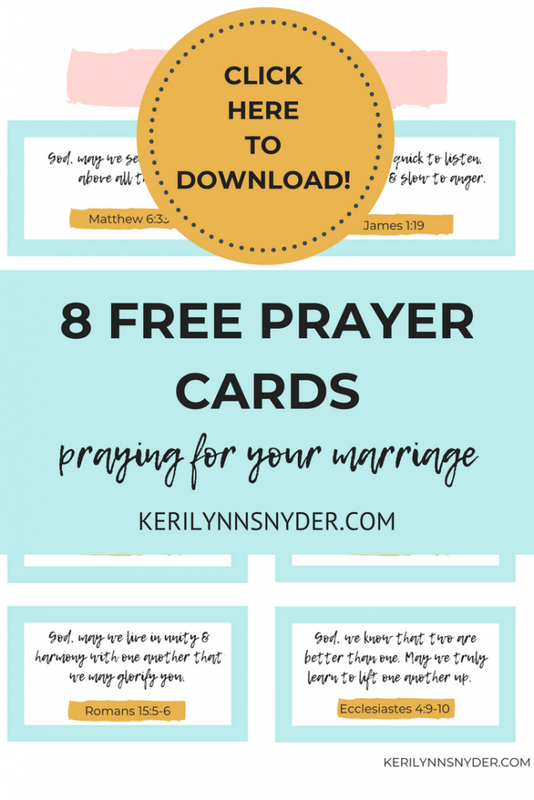 Download these Marriage Prayer Cards!